Zeus Bomb Coloured With LED are specially designed to spark curiosity and excitement, the Bombs by Zeus amp up the "cool" factor by combining translucent TPR with an impact activated multi-colour flashing LED ball. Once you have tossed the bomb you can watch it light up, engaging your dog during day or night. 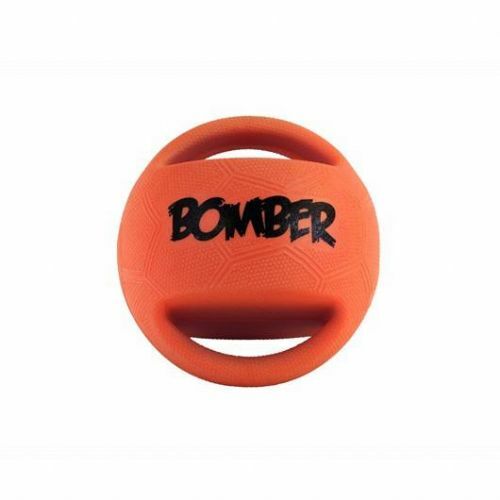 Zeus Bomber Ball Orange is a ball for dogs that comes in two different sizes of 11.4cm / 17.8cm in orange. The ball has two handles at either side for both you and your pet. The ball is meant for throwing, retrieving, tugging and floating. The Zeus Bomber Ball is perfect for most dogs and is extremely hard to break.